We are off to see what’s new in Amsterdam. 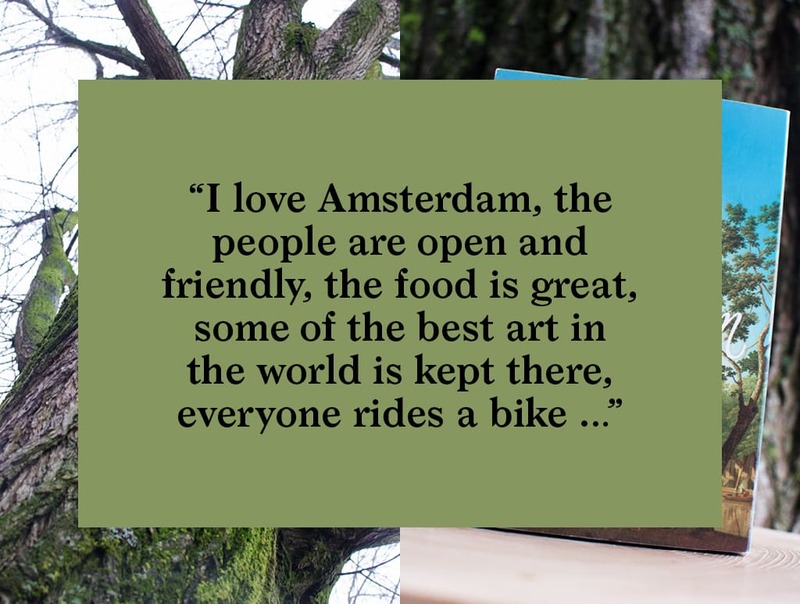 I love this city, the people are open and friendly, the food is great, it has some of the best art in the world, everyone rides a bike … I could go on and on. So when the City of Amsterdam invited Bearleader to come up and see what’s currently going on, we jumped at the chance. We firmly believe that the character of a place is mostly down to its people, so what better way to convey what’s going on than to talk to locals. 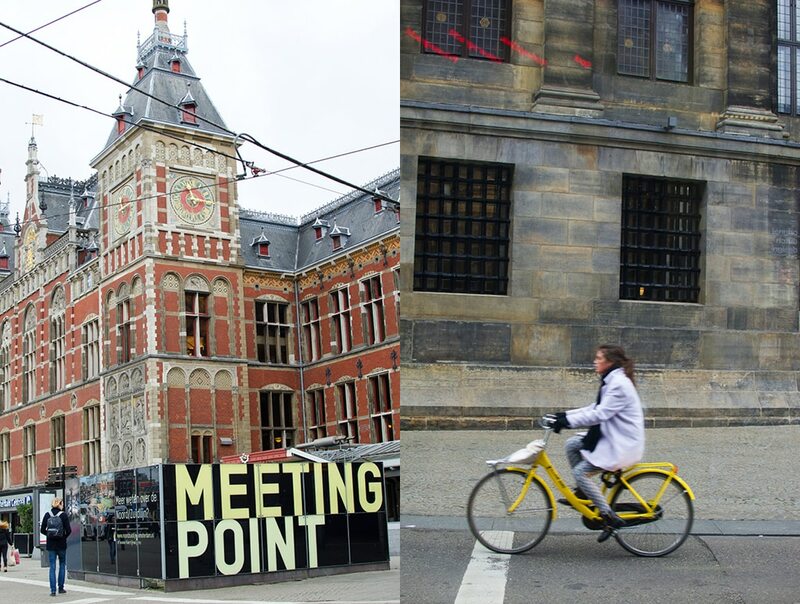 With a bit of research and some recommendations from our friends, we arranged a few meet-ups with some movers and shakers to talk to them about what makes Amsterdam special. Business partners Saskia Hoogendoorn and Lieuwe Martijn Wijnands are the creative force behind the design agency Tijdmakers (Time makers). They are kind of a local think tank that explores creative ways to influence the public’s experience of the environment through art and installation. We arranged to meet at de Koffie Salon on Utrechtsestraat, a great little place where locals hang out, meet friends and colleagues and sip coffee while tapping away on their computers. The pastries on offer are lovely and they serve a great cup of coffee. At the time we arranged to meet it was raining, and in true Amsterdamer rain-or-shine fashion, Saskia and Martijn arrived on their bikes. Many of their projects are internally generated so Saskia and Martijn have become quite adept at not only coming up with great ideas, but also the more daunting job of organizing the logistics that make their projects come to life. Dreaming is one thing, but what is great about Tijdmakers is that they know how to make their dreams come to fruition. And being somewhat of a creative instigator myself, I admire Saskia and Martijn for their ability to drive their dreams into reality. One of their latest ideas was to create the first ever municipal scent. Thus was born “Eau d’Amsterdam” the official perfume of Amsterdam. And what is the smell of Amsterdam? 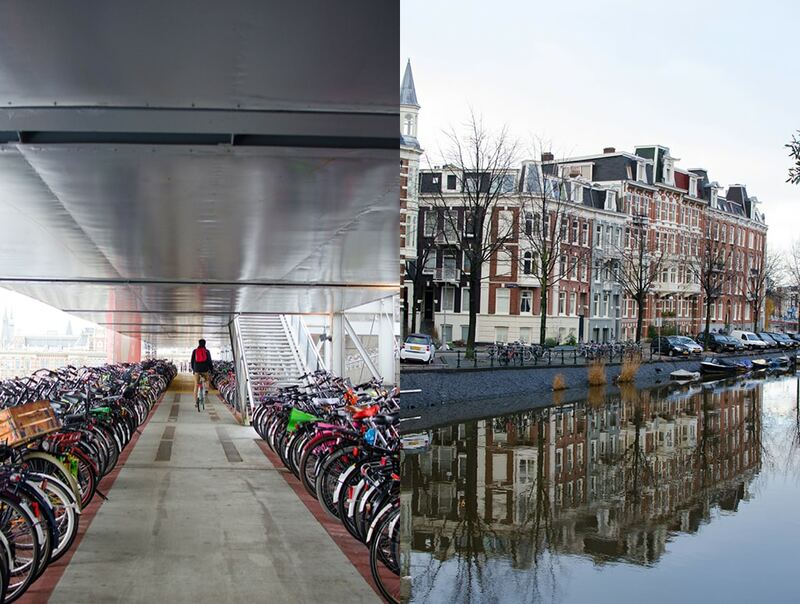 Ask any Amsterdamer and you will likely get a blank stare. But there is a familiar scent in the air and it took Tijdmakers to track it down. As it turns out, it’s the trees, or the Elm trees to be exact. Lots of cities have a particular tree that has been chosen to adorn the streets for practical and aesthetic reasons. 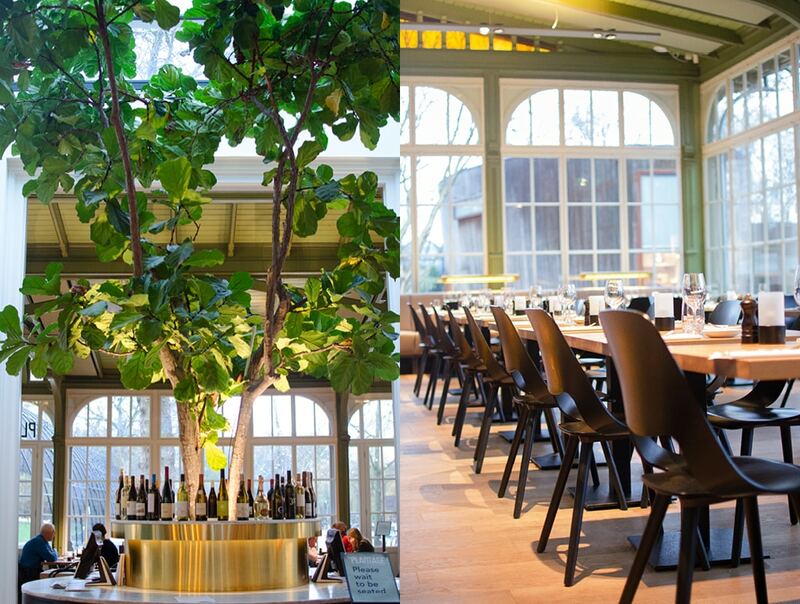 There is the “Berlin unter den Linden”, Paris has its “Plane” tree and Amsterdam has the Elm. 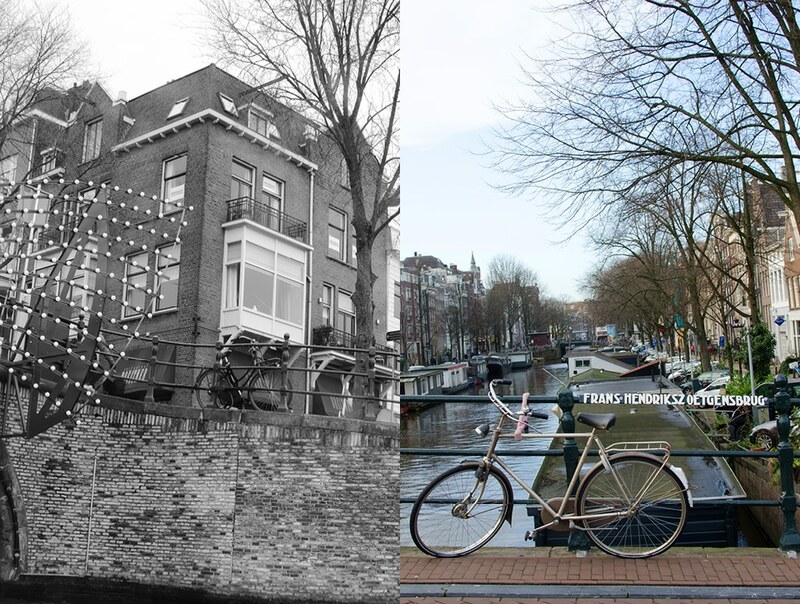 In fact the old trees of Amsterdam are designated a Unesco World Heritage. Amsterdam has about 75,000 Elms, some of them as old as 100 years. The first Elms were planted around 1662 and they were held in high regard from the start. The punishment for damaging them could be your right hand. 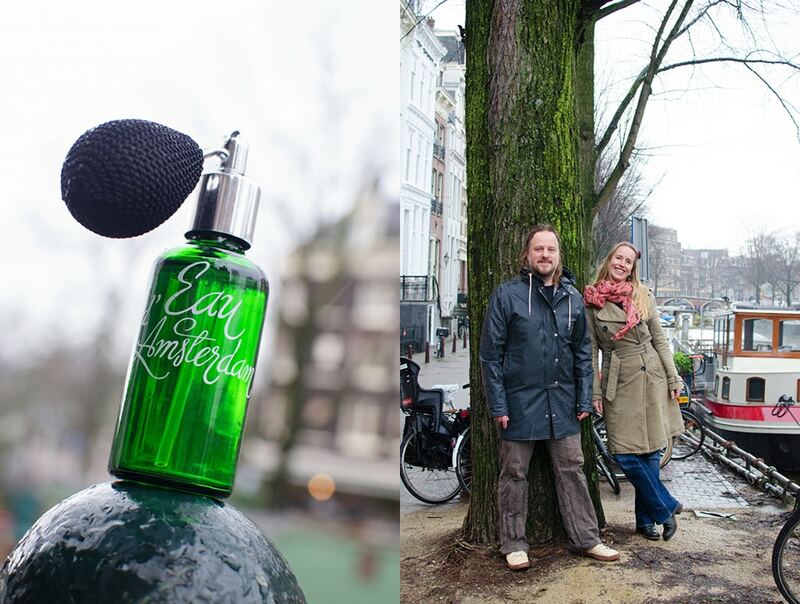 Saskia tells us the perfume was created by famed Amsterdam “nose” Tanja Deurloo from Annindriya, in cooperation with IFF. They carefully studied the wood, leaves and blossoms to create an interpretation of the city’s Elm-derived essence. The moment Eau Amsterdam hits your nose there’s an “Ah-ha! That IS the smell of the Elms!” Strong and earthy with a flowery feel, the scent ages well on your skin. 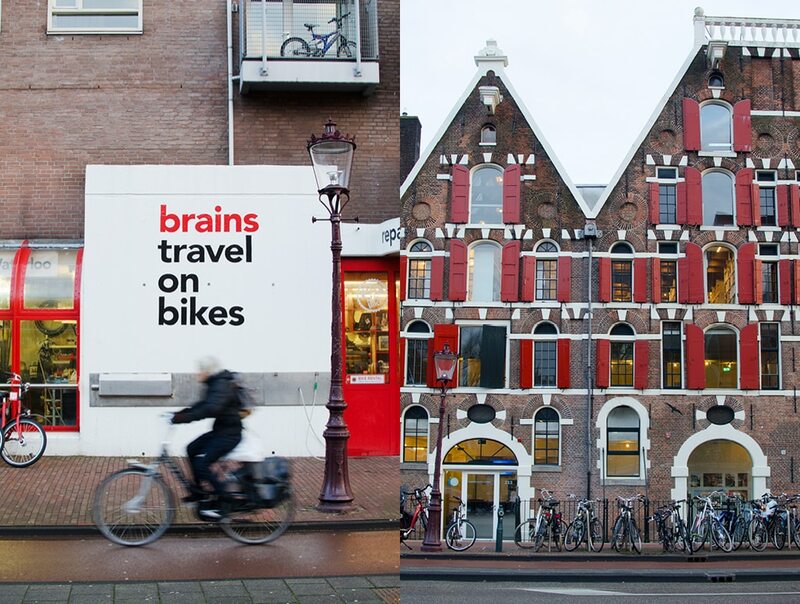 The original idea behind the project was to raise awareness of the city’s trees and their importance to Amsterdam life. It also supports another of Sakia and Martijn’s projects, the Amsterdam Spring Snow Festival started three years ago. The Spring Snow Festival takes place when the 75,000 Elms are in bloom, April 21 – May 21. The blossoms are so prevalent that they blanket Amsterdam’s streets. If it weren’t so warm you would definitely think it was snowing. The perfume comes in a wonderful dark green glass bottle with an antique style bulb atomizer. I was especially intrigued by the packaging. Saskia tells me the image on the box is a painting by 18th century Haarlem painter Hendrik Keun, and shows a large elm tree on Keizersgracht at Molenpad. The painting was produced around 1775. 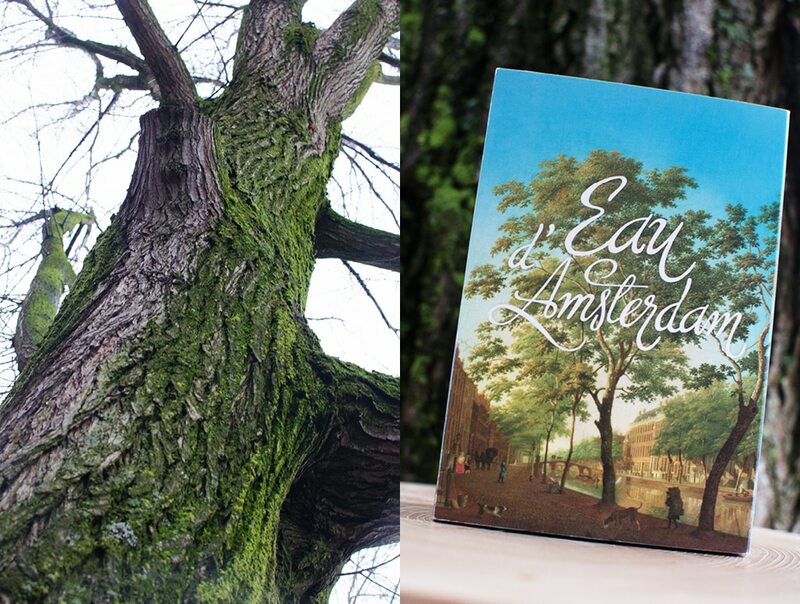 To see some of the oldest Elm trees in Amsterdam like the ones in Hendrik Keun’s painting, make your way to Oude Schans, across from houses 72, 58 and 29. Until meeting Saskia and Martijn I must confess I had not really paid much attention to the trees lining the canals. But for the rest of our trip I could not stop thinking about them. Well done Tijdmakers! Mission accomplished. The De Oude Pijp (The Pipe) district of Amsterdam, sometimes referred to as Amsterdam’s “Quartier Latin”, was the traditional home of poor artists and students. Now it’s a popular area to live, full of interesting restaurants and concept stores alongside a great market and “moeder & pop” shops that continue to do a good trade. This is also the neighborhood of Israeli-born artist Hagar Vardimon-van Heummen, and her studio called Happy Red Fish. 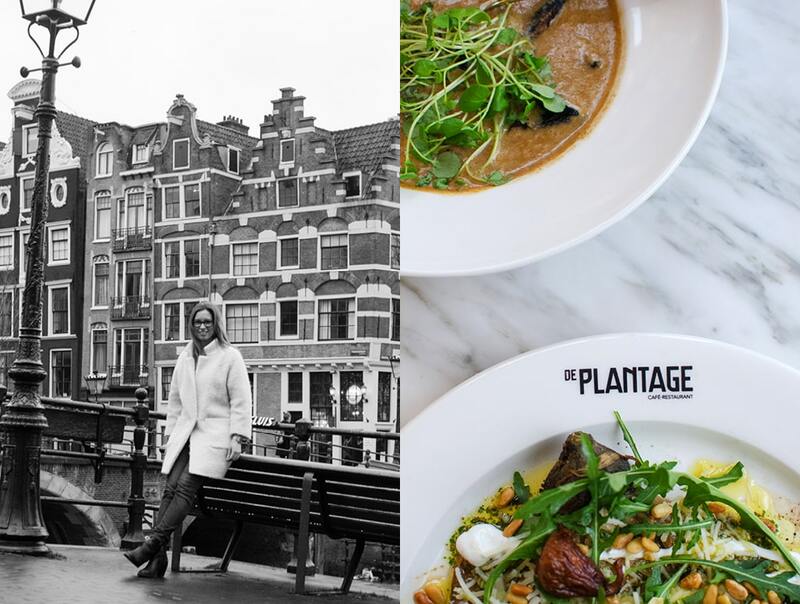 After walking the local De Oude Pijp street market on Albert Cuypstraatwe, we headed over to the concept store Cottoncake Cafe on van der Helststraat where Hagar recommended we meet. 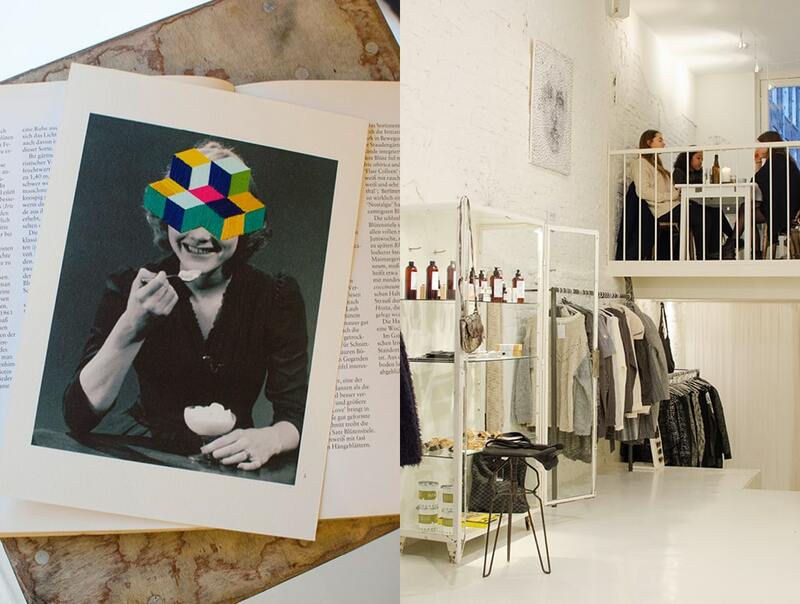 This white-box concept store is an eclectic mix of clothing, cake, jewelry and coffee. An odd mix that has attracted a loyal following of locals and it’s one of Hagar’s favorite places hang out. 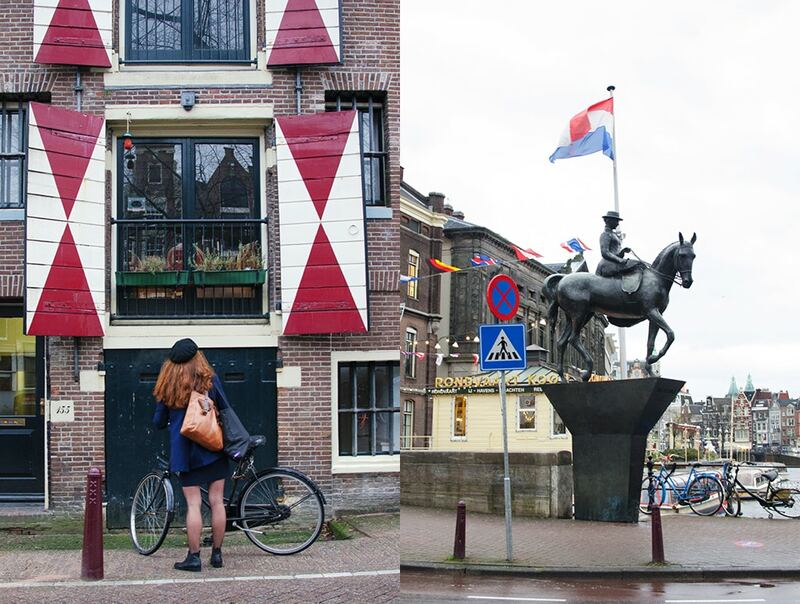 After marrying a Dutchman, Hagar and her husband moved to Amsterdam, which she now calls home. The medium for her creative work is common sewing thread, but her work is anything but common. 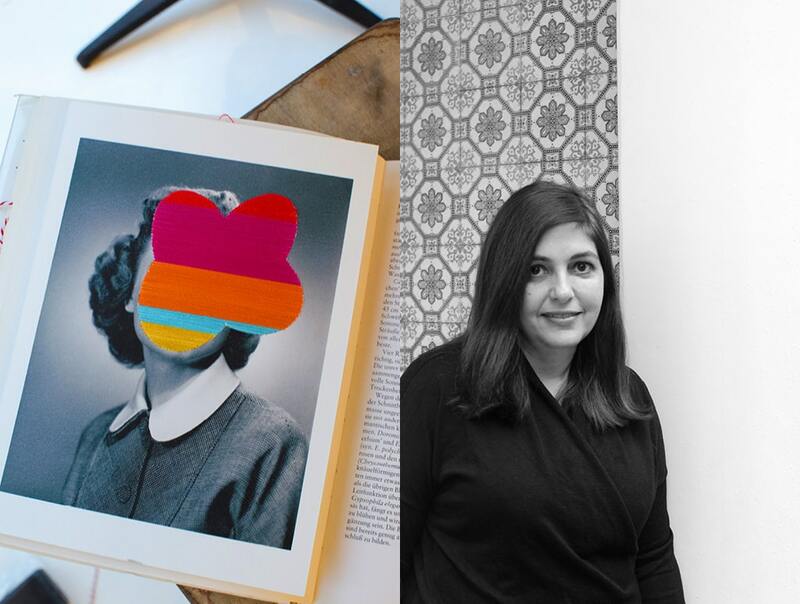 She transforms existing photographs using layer after layer of colored thread adding depth and texture and expanding the context of the original image. Clearing away our coffee and cake we made room for Hagar’s books which she uses to protect the work. I could not help thinking of how I used to press flowers in books and the excitement I had each time I would check back to see how the flattened botanicals were developing. Hagar’s works have a kind of flattened dimensionality that seems at home pressed into large tomes repurposed for the storage of art. After a few more coffees and a good chat, Hagar had to get back to work. We kept talking as she walked us to the tram where we set off to meet our next “insider”. Next we are visiting design studio Nicemakers to talk with designers Joyce Urbanus and Dax Roll about their work, and get their Amsterdam-insiders’ tips. We had only been in Amsterdam for a few days and Nicemakers had come up in conversation several times, so we were sure Joyce and Dax would have some great ideas about what to do around town. Unbeknownst to us, we had already visited some of the local restaurants designed by Nicemakers and seen some of their impressive work. But we did not realize any of this until we sat down in their studio for a chat. Long before there was a Nicemakers, there was just Joyce and Dax and even early in their relationship the seeds of Nicemakers were already growing. Dax regaled us with stories of weekends he and Joyce spent stalking antique markets for anything that caught their fancy: early modern furniture, mid-century lamps and peculiar objects and ephemera. They knew all the good spots to find the best stuff. Buying on desire rather than need was not unusual so a collection naturally began to develop. Over time, some of their objects found their way into design projects they were working on, and by anchoring their modern design work with objects curated from their eclectic collections a modus-operandi developed. Now they have honed their process into a fine art which has proven phenomenally successful in their rapidly growing practice. Walking around Nicemakers’ small, sleek studio you can see the continuity in their creative partnership. The clean lines of the fresh white space are offset by their carefully curated collections and meticulously arranged material samples that Joyce and Dax are mulling over for current and future projects. I comment on the great variety of ceramic tile samples carefully arranged in groupings of color and texture. Joyce laughs and says, “we love tiles”. And now I recall one of Nicemakers’ recent projects for a new local healthy fast food company, SLA. Food blogger Michelle van der Vliet had pointed out the new interior to us on our walk a few days ago. And indeed, SLA’s interior is a symphony of tiles, so I see where Joyce is coming from. It’s time to go, but as we leave I ask Joyce and Dax the all-important question: What should we visit in Amsterdam? 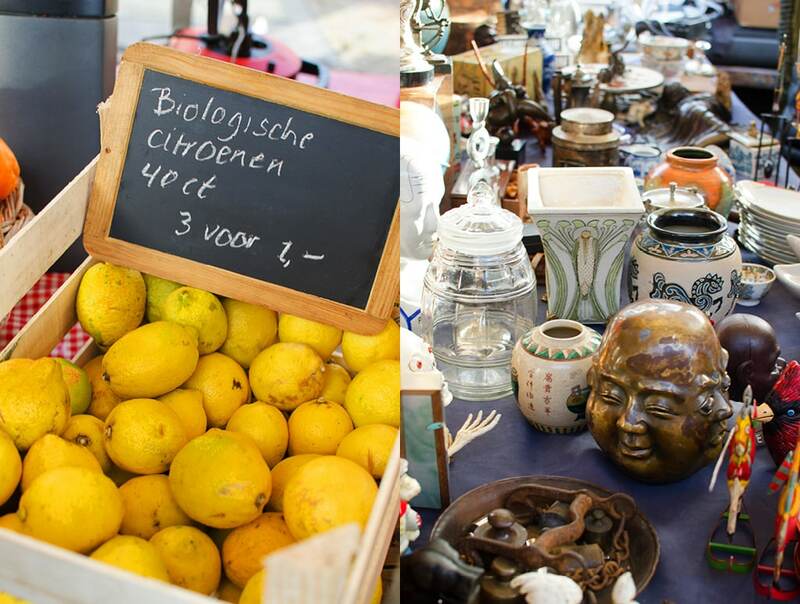 True to form, Joyce gives us a great tip on a local market, “Saturday mornings on the Noordermarkt are a definite must”. The following morning we check it out. At Noordermarkt the stalls offer everything from fresh fruits, vegetables and cheese to antique collectibles, locally woven linens and a variety of prepared foods. And, being full of locals, it’s a very authentic Amsterdam experience. With lunch just around the corner at SLA we had a full-on Nicemakers experience. Good tips Joyce and Dax, thanks! Even though this story is about local recommendations, while wandering around on my own I found something great to share. 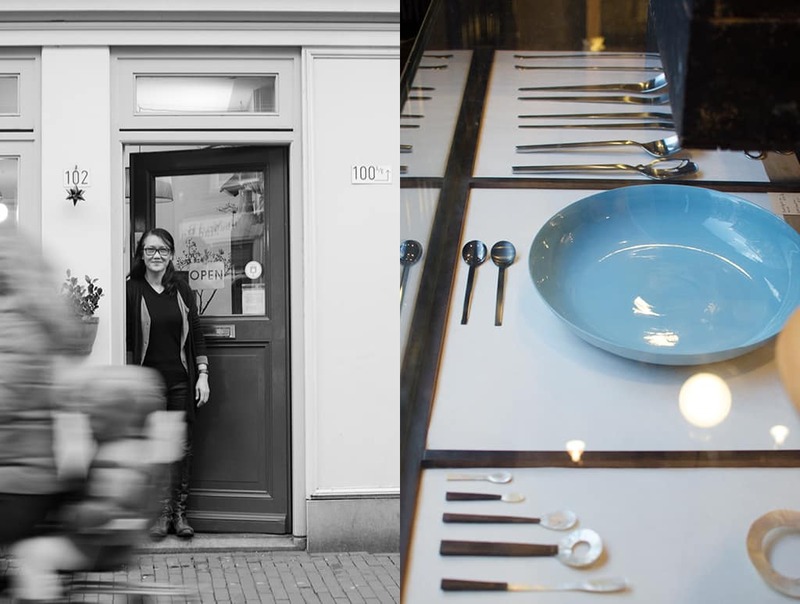 A short walk down Haarlemmerdijk, just west of Central Station, I did a double-take walking by the display window of a small ceramic and cutlery shop called Vivian Hann. Brilliantly colored objects, simple shapes, wonderful hand-crafted textures, I went in for a look. At the counter I introduced myself. And, as it turned out, it was Vivian Hann on duty in the shop that day! Vivian originally hails from California but Amsterdam has been her home for many years now. 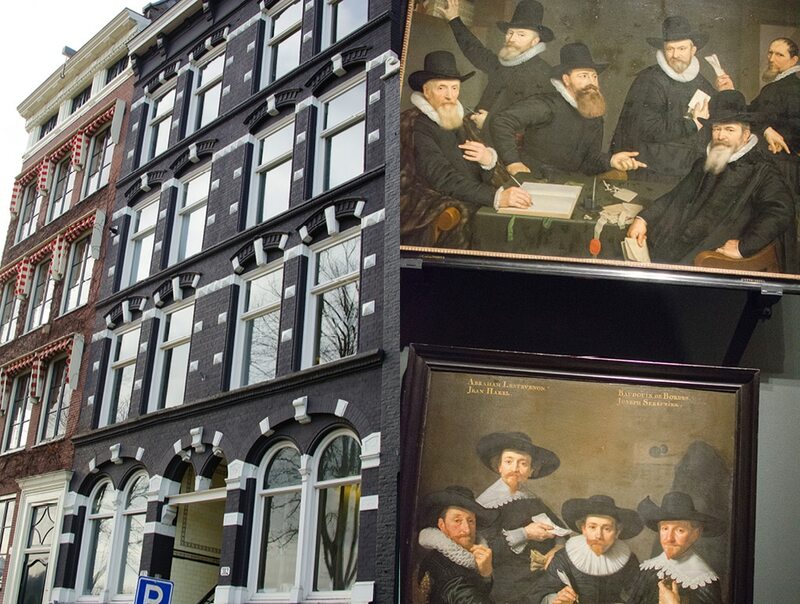 Back in 1998 when she opened the store, Haarlemmerdijk was nowhere near the bustling picturesque street you see today. It was gritty, and walk-in customers were far less frequent. But Vivian persevered and now her shop is in a great location, convenient for locals and in just the right spot for the considerable tourist traffic flowing daily from the nearby train station. Passionate about design, Vivian has put together an irresistible collection of everyday objects that is sure to strike a chord with visitors. Her enthusiasm for form, function and craftsmanship is on display with a great collection of ceramics, glassware and cutlery. 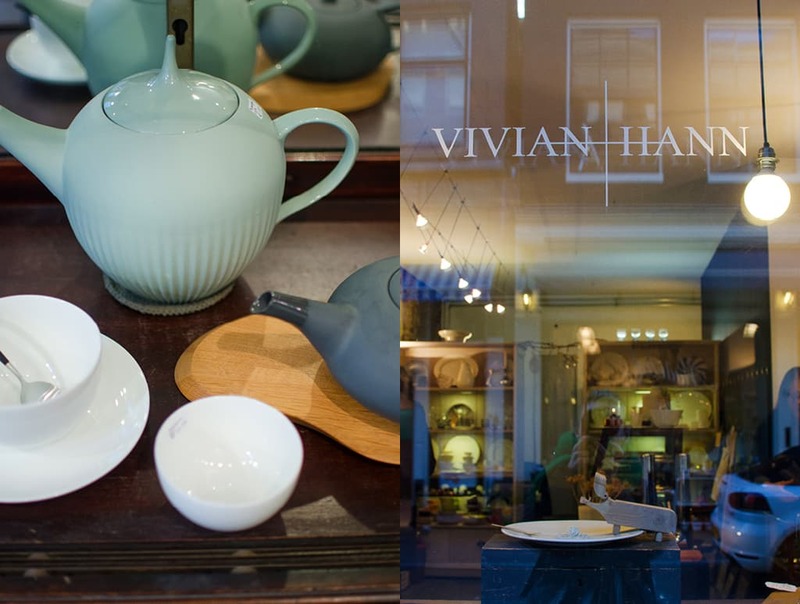 In fact, Vivian’s is one of the few shops in Amsterdam that specializes in functional homeware with an emphasis on the work of Northern European designers. With pride of place, and well protected under glass, Vivian has on display her collection of Hugo Pott cutlery. Cutlery is really Vivian’s main interest and Hugo Pott’s designs have all the attributes of simplicity, beauty and functionality that Vivian admires. I have similar interests to Vivian so I recognized some of the pieces in her cutlery collections, but I did not know much about Hugo Pott. And Vivian was all too happy to bring me up to speed on his life and work. And this is what makes Vivian’s tiny shop such a great place to visit. More than what’s on display, it’s Vivian’s encyclopedic knowledge of design and function that make a visit so interesting. Whether you are looking for a small souvenir or need to find flatware for a crowd, Vivian can lead you to just the right solution and fill you in on the story behind your newly acquired objects. I say skip the run-of-the-mill souvenir shops and go straight to Vivian Hann for a great memento of your Amsterdam trip. 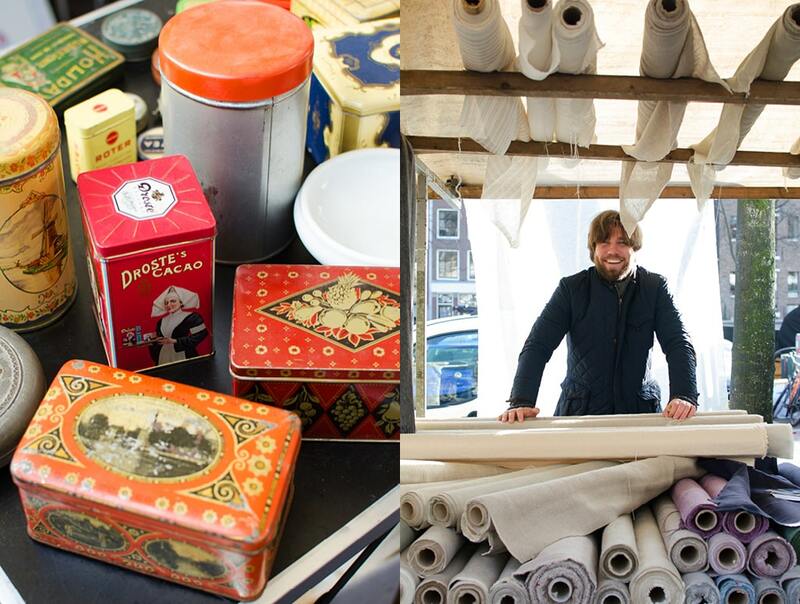 Rather than buying something that will quickly end up disused in the attic, you will have something destined to become your next family heirloom, used and talked about for years to come. A forever reminder of you fantastic trip to the charming city of Amsterdam. 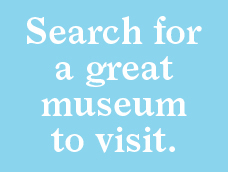 Pingback: Bearleader Chronicle: Amsterdam Recommended | Story154.